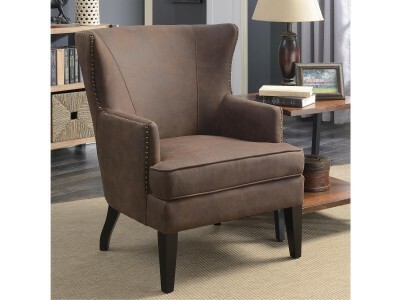 • THIS ULTRA PLUSH CHAIR IS Upholstered in durable leatherette with cappuccino legs• Available in bl..
UPHOLSTERED IN GREY FABRIC, WITH NAIL-HEAD AROUND THE TRIM AND ESPRESSO FINISHED LEGS.. 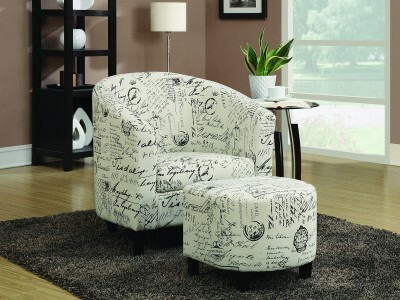 THIS CHAIR AND OTTOMAN FEATURES AN OFF WHITE FABRIC WITH FRENCH SCRIPT PATTERN.. 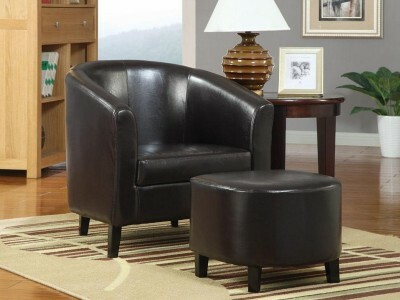 THIS GORGEOUS SLIPPER CHAIR WITH ROLLED BACK AND SEAT WITH BUTTON TUFTING.. 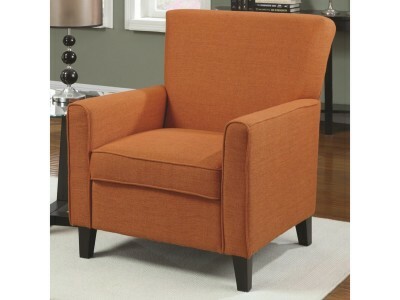 This gorgeous RETRO STYLE SWIVEL CHAIR, is finished IN CHROM and comes in an oragne linen-like fabri..
• ADD A POP OF COLOR TO ANY ROOM WITH THIS CHAIR • FEATURING A LEG FINISH IN CAPPUCCINO, THIS T..
WITH BUTTON TUFTED BACK, BEIGE FABRIC UPHOLSTERY, AND BROWN FINISHED LEGS, THIS ACCENT CHAIR WILL AD.. 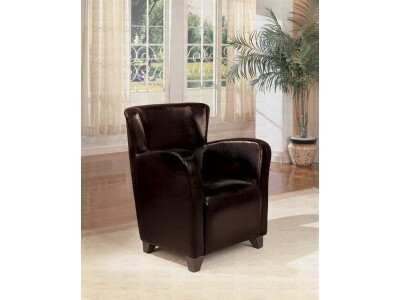 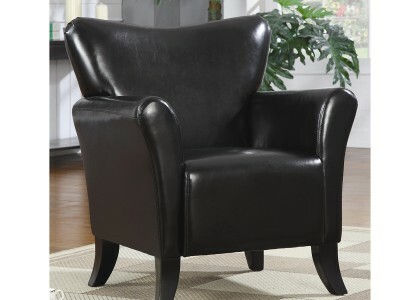 THIS GORGEOUS CHAIR FEATURES A HIGH BACK chair design WITH SMOOTH ARMS AND IS Available in dark brow..
Dimensions: 26" x 25" x 20"H..